In a world of chances, one decision can bring down the house, one roll of the dice could bring untold wealth, or the end of everything. In this anthology of all new short stories the players gather, their stories often dark, and always compelling. 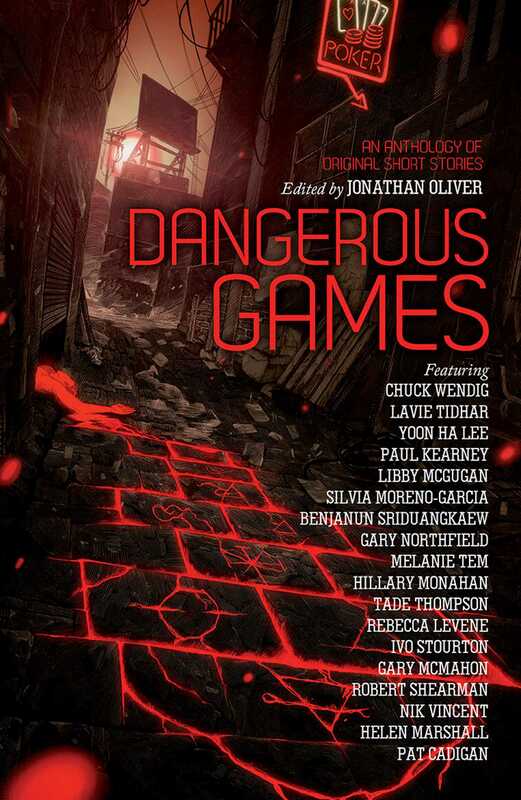 The players and the played, this new anthology from Jonathan Oliver (Magic, End of The Road, House of Fear, The End of The Line, World War Cthulhu) brings together brand new stories from an international team of talented authors, each with their own deadly game. This collection is set to include a full house of top authors including Hugo award-winning American writer Pat Cadigan, Brit Gary McMahon, Mexican Silvia Moreno Garcia, plus Tade Thompson, Rebecca Levene and more!